When it comes time to bug out, ideally, you’ll have emergency food ready to take with you, and you’ll have food sources ready to go at your bug out location. But life doesn’t always cooperate that way, and, so, it makes sense to know how to forage, find, and hunt for food while you’re “on the run” traveling to a bug out location or once you run out of food. Some things to eat seem obvious. Hunting for rabbits or deer (assuming that you know how to clean and cook these animals) is a good way to find food in most non-urban areas. 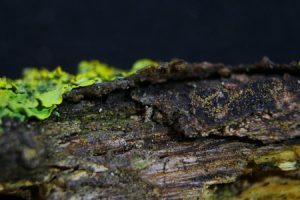 But, if you don’t know how to hunt, then you may need to look for foraging options, and the one common “plant” that you very likely have on your property that you can eat are lichens. Most lichens are benign, a few are toxic and only a couple [yes, literally two out of the 20,000 varieties] have been identified as poisonous. This is not as severe as the mushroom world, where there are numerous varieties that are downright deadly, but you gotta know your lichens. Just so you know, the two poisonous varieties are colored yellow, and Nubie advises to “avoid lichens that are yellow or orange.” In other words, stick with the green or blue ones. When you eat them, well, they aren’t necessarily going to be tasty (unless you are a chef who knows how to cook lichens up to make them expensive cuisine), but one of the easiest ways to prepare them is to simply boil them, changing the water frequently, to make them the consistency of gelatin. But, if you don’t have access to heat, lichens can be soaked for a number of hours with “frequent water changes” to make them edible without the acidity of the unwashed lichen. It may not be fancy food, but it’ll keep you going until you can find something more tasty. While lichens may not be the most appealing thing that you can think of to eat, they will keep you alive in desperate situations. So, if that is your only option, use it. Who knows? You may develop a taste for these organisms like many other cultures in the world.